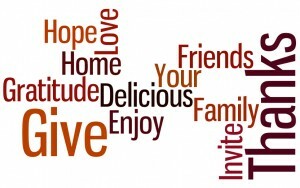 The secret to a winning Thanksgiving in your home is to approach it with a sense of gratitude. 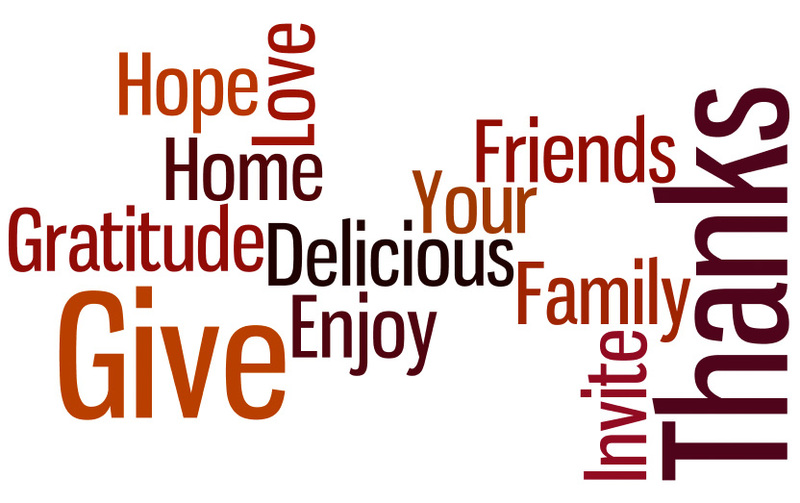 Compose your guest list of those you love and are glad to have in your life and include them in the meal preparation. Including your guests can be as simple as asking them to contribute a dish to the meal or you can invite a few to be a little more hands on and actually prepare the meal as a group at your home. When assigning out parts of the meal, it’s best to determine what “makes sense” to alleviate stress on you as host. If Aunt Sue is driving 2 hours to enjoy the holiday meal, a room temperature appetizer or salad will likely be a better choice for her to bring than the masked potatoes which should be served piping hot. If your son is notoriously late for family gatherings, perhaps assigning him a dessert or some beverages is the best approach. If the entire meal is to be created in your kitchen, create a timeline or vision of how and when the preparation should flow. In most cases your main course will take time to cook, so plan how and whether your side dishes, rolls, and dessert will fit into your overall timeframe. Utilize crock-pots to expand your ability to keep foods warm and consider which items can be made in the days prior to the event to prevent a time-crunch. Ask for help as needed and be sure to leave some easy last-minute preparations available to assign to guests who “want” to help as they arrive, such as tossing a salad or stirring the gravy. When it comes to the actual meal, serve what you want, keeping in mind that any family traditions will need to be served as well. To prevent cries of “Where’s the…” or “Why are there nuts in the…” its best to stick to the well-loved recipes you’ve always served while adding in new ones, rather than changing up the tried and true. If you always cook a turkey, add in a ham or vegetarian dish instead of replacing the item. And, if you’re cooking a turkey, please use a meat thermometer to judge doneness and forgo basting the final hour of cooking to create a golden, crispy skin. Lastly, keep in mind that this is a meal to be enjoyed by all who enter your home, including you. Take a break to relax and enjoy the meal alongside your family and allow everyone to help with clean up. You’ll be grateful you did, and so will they! You may have been talking with a neighbor or simply heard a snippet on the radio or television, but suddenly you are aware that right now is a “seller’s market.” Thoughts of an instant million dollar sale of your home or timing the selling of your home may be coursing through your brain and if so, you should consult with a knowledgable real estate agent to get the inside scoop. Many areas are experiencing low home volume and high demand which could place your home for sale in prime position. As a home owner, you may not understand the technicalities behind multiple offers and so working with a local real estate agent can provide you with the much needed guidance you’ll require to navigate your home sale. There are some simple steps that can aid you in getting multiple offers and the basics are outlined below. Stage Your Home for Sale – In a “seller’s market,” potential buyers know they need to act fast to put in an offer on the house (or houses) they like. Make sure yours is on that list by tending to every detail, cleaning well and listening carefully to suggestions made by your real estate agent. Spread the Word – From hosting a Broker’s Preview to the open house and other advertising, make sure that your home for sale is being properly promoted. Attention must be drawn to your home in order for it to be seen and offers to be submitted. Give your home the promotion it needs or find a real estate agent who will, so you can wait for the offers to roll in. Ask for a Lockbox – To have multiple offers, multiple people need to view your home (in staged condition) at all times. Realize that getting your home sold quickly will likely mean a bit of inconvenience for you in the short term. The sooner you accept an offer, however, the less time you’ll need to spend adjusting your lifestyle. If you need more advice or simply want a real estate agent you can trust with your home, please don’t hesitate to call. I’d love to get you multiple offers! Buying a home starts with determining how much house you can afford. While it’s important to be careful of buying more house than you can afford, changes in the mortgage industry make doing that nearly impossible these days. Recent restrictions on debt to income ratios, required documentation, and loan to value amounts have established industry standards that aid in preventing homeowners from buying more home than is affordable. While restrictive, these requirements can put your mind at ease as a homeowner, knowing that you are not in over your head in the purchase of your home. With that in mind, the key in home buying is to buy as much home as you can afford! 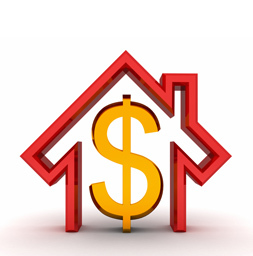 Interest rates are at their lowest in decades and home values are still in question in many areas, allowing you to enter low on both counts and possibly purchase your home for much less of a monthly payment than you would normally expect. As values begin to return, interest rates may start to increase, too, allowing you less home for the same monthly amount. As a potential home buyer researching loan products, there really are not many options commonly chosen these days. Most home buyers choose a fixed rate 30 or 15 year mortgage. This week’s average rates for both fixed rates are under 3.5%, according to the Freddie Mac Primary Mortgage Market Survey®. Specialty products and adjustable rate mortgages are still offered at times, but generally only to individuals with high net worth and disposable income (who really don’t need the loan). Many new home buyers turn to FHA loans as they allow more flexibility on down payments, credit scores, and debt to income ratios. While FHA loans may initially seem to have more fees, a good mortgage company will work with you and often absorb that cost to get you the right loan, so don’t be afraid to compare rates when buying your home. If you are considering buying a home, consider the additional guides below when determining your price point and work with an agent who knows your area, to find you the best home that delivers value, in your budget and in the best location. Stay within the income guidelines, having only 30% of your income being related to housing costs (including HOA fees if applicable). Keep your TOTAL debt under 40%. Read the fine print. If you are withdrawing from a savings plan (such as a 401K or IRA) for your down payment, be aware of any penalties or restrictions before you count on the money and plan accordingly. Plan on something going wrong and maintain some savings. Many new homeowners find themselves challenged when disaster strikes. Whether the trouble results from a natural disaster or one that’s man-made, reserving at least 3 months of expenses in a savings account, will help you to weather the storms of life, and enjoy your home long-term.